So we learned from our experience that the trains in India could not be trusted to be on time. Day 6 we were supposed to take the train from Agra back to Delhi, and then from Delhi, we would fly to Mumbai, where we would be staying with our friend’s mother. Knowing that the trains were a bit of a nightmare, we cracked open our internet and booked Volvo couch, a bus that would take us from Agra back to Delhi the next morning. After struggling a bit with the payment, we finally got ourselves two seats the next morning to Delhi. Thus, the morning arrived and we reached the bus station right on time for departure. It was a bit funny leaving the hotel, since it was so early and we woke the receptionist up to let us check out. I bet he didn’t see it coming. Hah. So the bus ride was rather nice. I preferred it. The train ride was a pain everywhere. My body felt bruised here and there on the train, but the bus was not so bad. I was asleep most of the time, and I believe that Daniella was too, at some point. It felt pretty short, and before we knew it, we were already back in Delhi. From our arrival point, we took a cab to the airport, and we just stayed there until we had to fly to Mumbai. Our flight was in the evening, so we had a great deal of time around the airport. 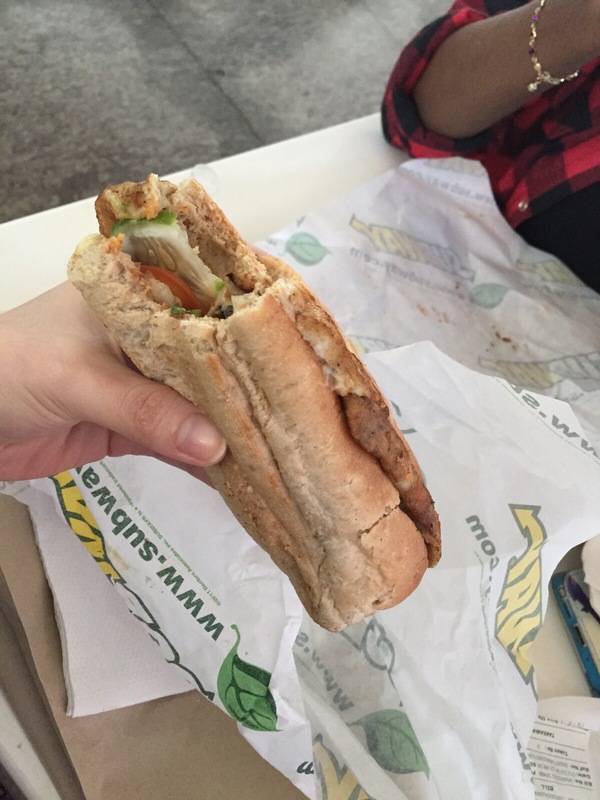 I bought myself a novel (Agatha Christie’s ABC Murder) and we had Subway for lunch. I know, I know – but we had this feeling that we would be going full blown Indian food diet for the next few days. Our flight was delayed, but it wasn’t that much of a delay. So we enjoyed the flight and arrived in Mumbai, where it felt like a completely different place – “Like a different country,” Daniella said. We got our bags and headed out, where a worried Priti Auntie (she’s our close friend’s mother) was waiting for us with a huge paper screaming our names. She was so beautiful – as our friend had warned us, his mother was a model and so youthful that in photos together, they looked more like a couple than a mother-son pairing – that it was easy to spot her. She was also so cheerful and had a lot of energy, which neither one of us could ever complain about. We loved this lady right away. So she drove us from the airport back to her apartment, and on the way, we witnessed the beauty that Mumbai truly is. Mumbai is a beautiful city, with a necklace that any woman in the world should envy. My mind was wondering where SRK stayed, and perhaps I could knock on his door and say hello. Pretty sure Daniella was thinking of the same thing. The moment we reached the apartment, we were greeted by the house assistant, Lalita. Lalita was a young woman with zeal for a lot of things. She taught us some Hindi words, as we taught her some English. 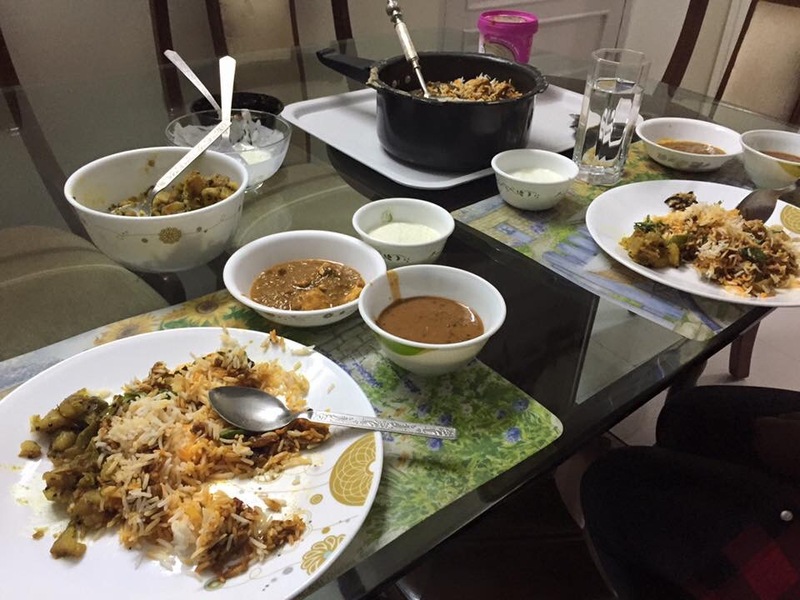 We had a huge dinner, prepared by Auntie and Lalita, and then the two us did our laundry and headed to sleep. According to Auntie, the day after would be a full day tour and we would be tired.